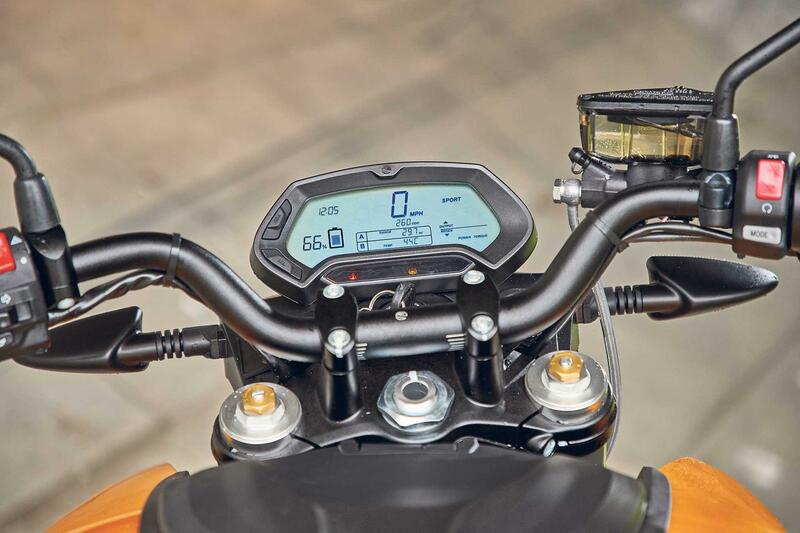 The Zero S ZF6.5 needs traction control, but aside from this in terms of practicality and performance it has everything the urban rider requires and a range of over 50-miles. The major stumbling block, as always with electric vehicles, is price and £9190 is still a very high cost to pay for green transport. The Zero handles well and as the ZF6.5 is lacking one battery compared to the ZF13 (which shares its chassis) it is a huge 43kg lighter, making it more manoeuvrable. The suspension is fully-adjustable but it does feel a little skittish compared to a traditional motorcycle. The performance is impressive and it will hit 80mph, but the lack of traction control is a worry. The motor’ performance is impressive, but as electric bikes produce all of their torque almost instantly from any revs, and when you have nearly 80ftlb being transferred through a fairly skinny (and often cold) rear tyre with no form of traction control system, it can be a recipe for disaster. Especially with inexperienced riders at the helm and the slightly detached feeling you have through an electric bike’s throttle. 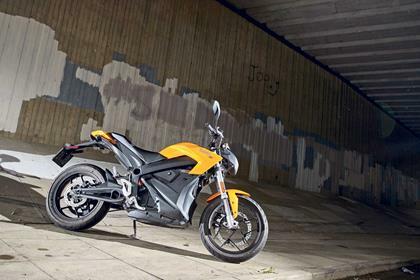 The Zero comes with a two-year warranty as well as a five-year warranty on the battery, which is claimed to last 291,000km to 80% charge. The bike itself is well built, and it has fully adjustable Showa suspension, but all the cost of the machine is within the battery and not the running gear. It is so hard to value an electric bike as £9190 is a lot of money for a bike that only has a range of 52 miles unless you spend another £3000 on a battery booster to increase this to 100 miles and then a further £2600 to go a few more miles with the power tank battery. And the fast charger is another £702! But there is no tax, running costs are minimal and you can always steal work’s electricity, so it is very cheap motoring after the initial outlay. The Zero has ABS but not traction control, which is an oversight. The suspension is fully adjustable, and there are lockable storage areas in the ‘tank’ space and also next to the battery, and the bike can be liked to Zero’s smartphone app to download data and adjust the power maps. Overall, it is pretty basic, but feels a quality product. Rear suspension Showa shock, fully-adjustable. No owners have yet reviewed the ZERO S (2017-on).